The granddaughter is looking much better now. Her features have been built up to near completion as I did with the other two portraits and now I will do the finishing touches on all three. 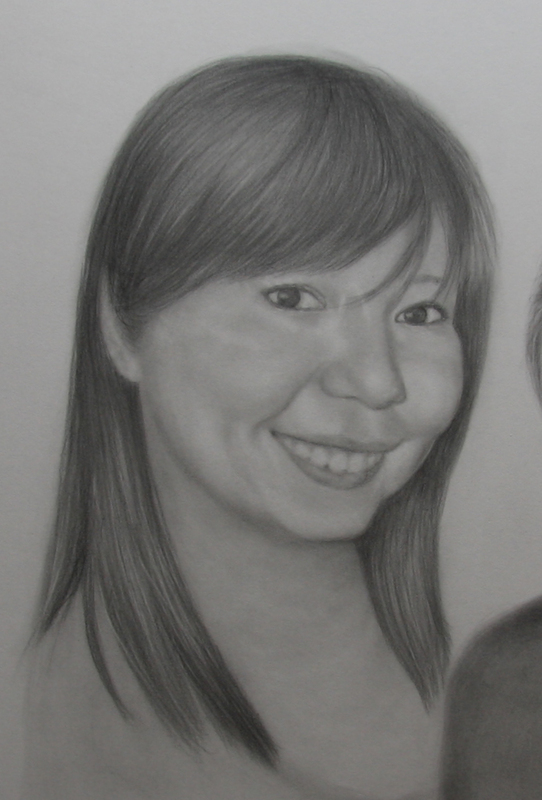 I think she is pretty close but just need minor adjustments for her. I think her chin needs a little softening as does her mouth but letting the paper sit for a bit always seems to help with the blending. I will start with the grandmother as I have had more time "away" from her portrait to better judge what changes need to be done to finalize her portrait. 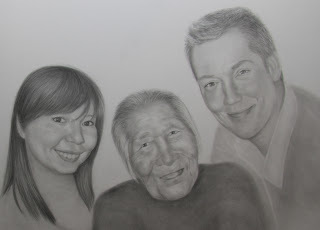 I thought I would upload a photo of the whole portrait as it stands before the final edits. Of course, it never looks as good online as it does in real life (no really) as the computer only caputures half of the tonal values so things look much more choppy online. The paper is actually a soft white so that gives you an idea of how the values change online. Onto the finishing touches!